In 1565, Bernardo Buontalenti, on the occasion of the visit of the Spanish ambassador to the court of the Medici Family in Florence, prepared an innovative frozen dessert: the custard Gelato. In 1979 the Badiani Confectionery in Florence reinterpreted the famous recipe with milk, cream, sugar and egg yolk: few ingredients, to go back to the authentic and original taste of the first Gelato in the world. 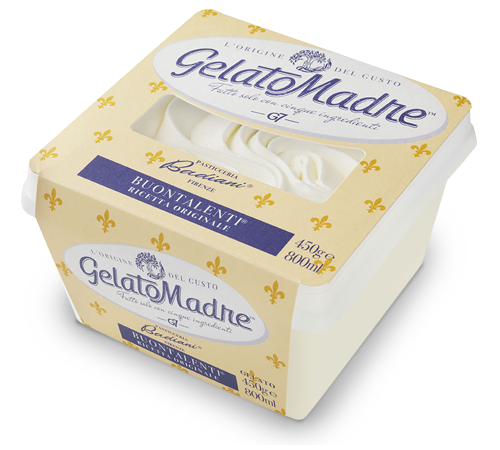 GelatoMadre Buontalenti Original Recipe: only 100% Italian natural ingredients for a unique Gelato.